17.375x19.75x1 Air Filter Odor Eliminator - $14.83/ea. 17.375" x 19.75" x 1"
This is a non-standard size filter. The actual dimensions of the filter are 17.375" x 19.75" x 0.75". Please measure your existing filter before ordering to make sure it will be compatible. MERV 8 rated per ASHRAE test standard 52.2. 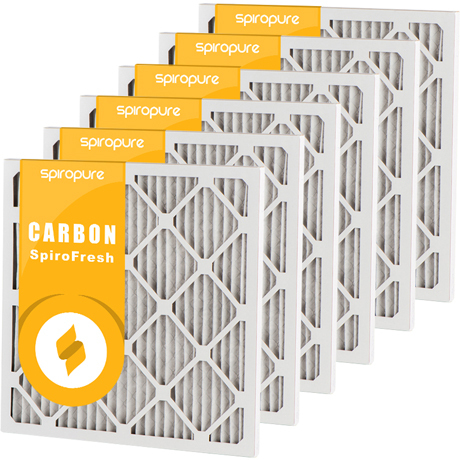 Intelligent carbon media effectively absorbs odors and irritants while maintaining a low resistance to air flow. Offer the high efficiency and lower pressure drop benefits with less cost.